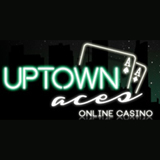 If you're an online casino player looking for a change of scenery, brand new site Uptown Aces could be up your street. A stylish online casino with more than 150 slots and table games from Real Time Gaming, Uptown Aces has opened its virtual doors to players from around the world this week. Uptown Aces has also announced a special freeroll casino tournament, with a prizepool of $1,500 including $500 for first place. Head over to uptownaces.eu to find out more, and to discover a classy casino with a huge range of top games including progressive jackpot slots like Aztec's Millions and Spirit of the Inca.